I’m dealing with a deadline and don’t have time to address a topic in depth, so here’s a quick lightning round of Eberron questions submitted by my Patreon supporters. What were some of your plans for Greykell that never made it to print or comic? For those who don’t know, Greykell ir’Ryc is a character who first appears in my novel City of Towers. 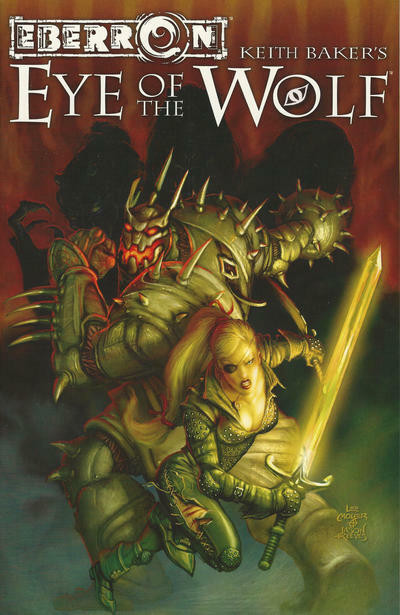 She later became the protagonist of the comic Eye of the Wolf; the easiest way to find it now is in this collection. Eye of the Wolf left a number of hooks I’d love to explore. In the last panel you can see that Greykell has the battlefist of her warforged companion, Mace, sitting on a bench. So if I’d picked it up, the immediate story would have been finding Mace and getting the band back together. Following that, the primary plotline would be unlocking the mystery of the Key to the Kingdom of Night, the artifact revealed in Eye of the Wolf. What is its purpose? Why does the Emerald Claw want it? Beyond this, there’s certainly questions to be resolved concerning Greykell’s lineage, her sword, and other things. So: that’s what I had in mind at the time. If I were to pick her story up again, I’d consider if there were any new directions I’d rather take. How rare are dragonmarks and dragonshards, numerically? I can’t come up with a relatable analogy or real-world example. 1) How limited of a resource are dragonshards? Equivalent to Industrial Revolution coal? Or gold? Good question. Starting with dragonmarks, it depends on the type. Eberron dragonshards are the basic fuel of the magical economy. In my opinion they are fairly common and are usually encountered in a refined, powdered form; you can almost think of this as Eberron’s answer to oil. What I’ve said before is that in magic item creation, it should be understood that a chunk of the “base GP cost” represents Eberron dragonshards—that pretty much any major act of creation will use them. Siberys and Khyber shards are considerably rarer, and would be more in line with uranium. They are crucial for certain types of magic, but not generally used for trivial effects and much harder to come by. Are dragonshards a renewable resource? Yes and no. They are a form of crystal; it’s not implausible to say that Eberron shards form naturally over time. However, if this occurs, it’s not fast. The discover of new shard fields in Q’barra wouldn’t be as important if the existing fields were a never-ending cornucopia. Essentially, I’ve never intended there to be a storyline in which the world simply runs out of dragonshards, but it is the case that the discover of a new source of shards is supposed to be valuable and significant. How often would you encounter someone with a dragonmark on the streets of Sharn, or in your modest village? What we’ve said before is that about 50% of dragonmarked heirs develop the least manifestation of the mark. Someone who does develop a mark has a valuable skill and a tie to a dragonmarked house. So looking to your modest village, it’s relatively unlikely: unless they are performing a specific job in the village, why wouldn’t they take that mark to the big city and make some gold? As for Sharn, we actually did a dragonmarked breakdown when we were working on the Sharn: City of Towers book. I don’t remember the results, but there were definitely hundreds of least-marked heirs, if not thousands. Both Shard and Mark are required to perform most of the abilities that run the Eberron economy, so how common are these “jobs,” of all jobs in the economy? Of all jobs in the economy? Not very. An airship needs a pilot with the Mark of Storm (and maybe a co-pilot for a long flight); compare that the the number of people working maintenance or support on any flight. A Sivis message station needs an heir to operate the stone, but it’s not as those there’s a message station on every street corner. Cannith heirs run the creation forges and similar focus items, but there’s many more jobs that simply require magecraft or mundane talent. Short form: The marked services are the things that give the houses their edge, since others simply can’t provide these services. But they are a small percentage of the actual jobs in the world. How do you feel about the loophole in 3.5 that allows goodberry to provide healing in the Mournland? Is this something that should carry over to 5e, or other systems? I’ve never considered it an absolute rule that healing doesn’t function in the Mournland, because I don’t think anything about the Mournland should be absolutely reliable. Given that, I’m fine with the idea of unusual resources and approaches (goodberries, healing potions brewed in the Mournland, etc) that healing possible. Essentially, what’s important to me is that the Mournland means that you can’t rely on the things you’re used to. With that said, the goodberry effect wasn’t intentionally planned out, so I don’t care if that PARTICULAR loophole makes its way into 5E; I’m just saying that I’m amenable to DMs providing ways for PCs to heal in the Mournland, as long as it requires some effort. Is there a holiday involving gift-giving in Eberron? A simple option is Boldrei’s Feast (9 Rhaan), which is a celebration of community. Another possibility is Sun’s Blessing (15 Therendor) which is a day of peace and a time to set aside differences. Aureon’s Crown (26 Dravago) is a day for people to share knowledge. Those are all in canon. Unofficially, I introduced a tradition in one of my campaigns which I just called “The Gifts of the Traveler,” which was effectively a Secret Santa exchange. In my campaign, the warforged paladin gave another character a collection of poems she’d written called Rust & Blood; given that none of us knew she was writing poems, it was kind of sweet. Does the Blood of Vol have a “Martin Luther” character in its lore, that have experienced and rejected the machiavellian schemes of Vol and the Crimson Covenant, and seeks to create a more “pure” faith? Not by canon, but I think ALL the religions of Eberron should have this sort of thing. Part of the point of faith in Eberron is that there’s no one absolute authority on interpretation. We’ve talked about the Time of Two Keepers with the Silver Flame, not to mention the Pure Flame. We’ve already called out that the BoV has a few divergent paths—those who believe in a war against the Sovereigns, those interested solely in personal ascension, those loyal to the Queen of Death. So: there’s no existing NPC, but it’s a great story to explore. That’s not my personal assumption, but GIVEN that assumption, I’d either use Thelanis or Xoriat. Thelanis because of the idea that time is unpredictable in the fey realm and because it is about the world behaving in a magical way; Xoriat because it embodies things NOT working in accordance with nature, and if you’re breaking natural laws it’s a reasonable force to use. Does Droaam have any kind of international trade aside from byeshk and brokering monsters through House Tharashk? Like Darguun, I see Droaam as still focusing on establishing its own infrastructure. They’re building and expanding their own cities and working on producing or acquiring the resources they need to keep the nation going. Mercenaries services and Byeshk are two known commodities that already have a market. Beyond these, they are still figuring out what surpluses they may have or what they can produce. So right now, I don’t see them as offering much more (aside from things like Dragon’s Blood, which is under the table). But if you want to INTRODUCE something as a new development, that makes perfect sense. And bear in mind that “mercenary” is a loaded term that sounds like it’s solely about soldiers. Most of the “monstrous mercenaries” Tharashk manages in Sharn are ogre laborers, gargoyle couriers, and other nonviolent services. A side note here: Many of the dragonmarked houses are interested in Droaam BECAUSE it’s largely undeveloped and it’s not yet known what resources they possess. So there’s certainly merchants in Graywall both looking to sell the things that Droaam needs and to see if they can make deals to get unique resources that haven’t yet been fully tapped. Have you ever used Argonth or any of the floating fortresses in any of your games? I never have! I’ve thought about it a few times—in developing games for CCD20, “Die Hard on Argonth” has been on my list—but no, I never have. Are you going to be allowed to talk about converting Waterdeep: Dragon Heist for Eberron when the time comes? I don’t think I’m forbidden from talking about anything. What I’m not allowed to do is to produce concrete material: adventures, race conversions, etc. So I could do an article on this site about a general conversion, as long as I had the time to do it. I just couldn’t actually convert NPC stats to Eberron or present my version of Dragonmarks as part of it. That’s it! Feel free to post additional questions below—though as I am very busy, I can’t promise they’ll be answered. Mordenkainen’s Tome of Foes for 5e shows that Mordenkainen (who in 3e was a 27th level wizard) is aware of Eberron and the Last War. What would you do with the implication that high level wizards like Elminster, Murlynd and Dalamar do visit Eberron? Well, Mordenkainen could be aware of Eberron without actually having visited it. Setting aside epic scrying magic, he could have consulted with other travelers—plucked images of Eberron from the memories of a mind flayer. I have two main caveats concerning any connection between Eberron and other planes. The first is that it has to be optional. The flip side of “There’s a place for everything in Eberron…” is “… but you get to decide whether you use it.” If someone WANTS to put Elminster in Eberron, more power to ’em—but *I* don’t. But assuming you DO: one of the design principles of Eberron is that there’s no powerful good guys. If the Tarrasque attacks Sharn, there’s no 27th level wizards sitting around waiting to teleport in and solve the problem. Where there ARE powerful benevolent NPCs—The Keeper of the Flame, the Great Druid—they are limited in some way. Jaela loses her powers if she leaves Flamekeep. Oalian is a giant tree. So if I were to add Elminster into Eberron, I’d want to add a similar handicap. Two options come to mind. The first is that he can’t exercise his full powers without disrupting some sort of balance—whenever he uses his magic in Eberron, Sul Khatesh learns one of his secrets, and once she learns them all she’ll be freed (and he knows this). The second option—which can be combined with the first—is that the Chamber is aware of him and will act to eliminate him if he threatens to disrupt the balance. Even a 27th level wizard should tread lightning around a host of epic level dragons. So I’m fine with saying that they’ve been around but tread lightly… or exploring the consequences of them NOT treading lightly. For example, I’d love to say The Daelkyr Incursion was the result of Mordenkainen coming to Eberron—whatever method he used to breach the planes drew the attention of the Daelkyr and ultimately destroyed the Empire of Dhakaan. You may have mentioned this in a prior post, but what do you use/think for the religious views of the jhorash’tal orcs? Personally, I see the Jhorash’tal orcs as culturally distinct from the orcs of both the Shadow Marches and Demon Wastes. I use a blend of Sovereigns and Six—similar to the Three Faces of War, but encompassing some of the others as well. what do you think of animal familiar in Eberron? What does it say on magic the fact that every wizard and every sorcerer has one? Two things there: whether EVERY wizard and sorcerer has one is a function of the edition you’re playing. Even if that is the case, remember that both wizards and sorcerers are rare in Eberron. Most professional spellworkers are magewrights. So familiars will be rare even if every wizard has one. Second, there critical question is what is a familiar? The traditional familiar is a normal animal that becomes a magical beast when summoned to service. In essence, a minor spirit of some sort possesses the animal body. You could present this as being extraplanar (and in the case of a warlock, an emissary of the warlock’s patron). However, I’m more inclined to say that it’s a manifestation of the spellcaster’s subconscious mind. Especially if ALL wizards have one, I’d argue that when you unlock the part of your mind that allows you to master arcane magic—shaping reality with your thoughts and words—that it allows your subconscious to manifest through a local vessel. The familiar is literally the voice of the piece of you that understands magic. But that’s just my idea. The Raven Queen is trapped by her fascination with the past. She sits in her fortress, amidst all the memories of the world, looking at the ones that please her the most as though they were glittering jewels. The Raven Queen was introduced in 4th edition Dungeons&Dragons. In her original form she’s a mortal who attained godhood after death. She’s the goddess of death, but specifically she’s a psychopomp—her role is to safeguard the soul’s passage to its final destination. She is also presented as a goddess of fate and winter. Her tenets include the idea that death is the natural end of life and that her followers should bring down the proud who cast off the chains of fate. So: She’s a shadowy goddess of death, but presented in a positive light—and specifically being opposed to Orcus and the undead. She’s also presented as being able to spare worthy mortals from death if they will perform services for her. Mordenkainen’s Tome of Foes brings her to 5th edition, and in the process changes up her story. In 5th edition, she was originally an elf queen, a contemporary of Lolth and Corellon. She sought to attain godhood and in the process was pulled into the Shadowfell with her followers. She became an “entity composed of symbols, images, and perceptions.” She sustains herself by drawing on mortal memories, and thus created her Fortress of Memories. Those who go to her realm are “transported to a strange fairy tale world pulled from their experiences, filled with metaphors, parables, and allegories.” People might seek her out to free themselves from a dark past; to learn the secrets of the dead; or to find answers that only she possesses. In both incarnations, she is served by the shadar-kai. In 5th edition, these servants are immortal; if they die, she will cloak them in new bodies to return to her service. She sends them out to uncover secrets or memories the Queen wishes to acquire. So: we have a goddess of natural death who despises undead and seeks to safeguard soles and the natural course of fate. We have an Elven keeper of secrets who collects tragic memories. Both dwell in the Shadowfell, have shadowy servants, and may deal with mortals. How does this translate to Eberron? Lest it go without saying, Eberron doesn’t have incarnate gods. So we know one thing she’s NOT, and that’s a god. She is a powerful extraplanar entity who can serve as a patron for warlocks. Perhaps it’s even possible for a cleric or paladin to gain power in her service, but if so, the power isn’t coming from her directly; it’s power gained in service to her ideals. There’s a lot of different ways you could go with this. Here’s a few quick takes. THELANIS. The archfey of Thelanis embody epic faerie tales, and that’s explicitly what the 5E version of the Raven Queen is: a fairy tale about a queen who sought power, was consumed by shadows, and now feeds on tragedy. It’s a simple matter to take her exactly as presented in MToF and simply place her Fortress of Memories in a shadowy layer of Thelanis. In this case, the shadar-kai are essentially immortal fey spirits temporarily housed in mortal forms to play their role in her story. She continues to seek memories and tragedy because that’s her story; it’s simply the case that when you deal with her, you want to think of her as a character in a faerie tale, to bear in mind that her goals and the logic driving her actions aren’t the same as those of mortals. If you want to follow this path, I’d check out my post on Thelanis. Note that this doesn’t incorporate any of the “Goddess of Death” aspect. MABAR. In my article on Mabar I discuss the idea that realms are consumed by the Endless Night. The MToF story of the Raven Queen fits that idea well; it’s a tale of a mighty queen who seeks godhood and is consumed by her hubris, dragging herself and her followers into shadows from where she continues to feed on tragedy. You could certainly make the Raven Queen the ruler of a domain within Mabar. However, if this is the case, it would definitely play to presenting her as a more sinister and dangerous figure as opposed to being a possible ally or patron. DOLURRH. The basic principle of Dolurrh is that it draws in the spirits of the dead and consumes their memories, leaving behind only forlorn shades. Most of the major religions assert that this is a side effect: that the memories aren’t being LOST, but rather they’re transitioning to a higher form of existence… either bonding with the Silver Flame or reaching the realm of the Sovereigns. Nonetheless, memories are lost. You could combine the two approaches and say that the Raven Queen is a powerful being who dwells in Dolurrh and saves the memories of the dead from being lost. This plays to the idea of people seeking her out to learn long-lost secrets from the memories of the dead. It also fits with the idea that she could restore ancient champions to life—that she preserves their spirits from the dissolution of Dolurrh so they can potentially be restored at a future time. This also fits with the idea that she could offer resurrection to a dead player character in exchange for their services in the mortal world, or that her shadar-kai are spirits restored to mortal bodies. In my mind, this is the best way to combine the two versions of her: she is a powerful entity who works to preserve the natural order of Dolurrh, encourages the natural cycle of death and despises undead, yet who also preserves the memories of the dead and could grant resurrection. THE CHILDREN OF WINTER. If you work with the idea that “death is the natural end of life,” the Raven Queen could be the patron of the Children of Winter. This likely works best if she’s tied to Dolurrh, but it could work with any option. This would justify mixing a few warlocks among the druids and rangers. ELVEN ORIGINS. Playing off the idea that she is connected to the history of the elves; that she hates those who defy fate; and that she collects memories, there’s another interesting path you could take: she could oppose the elves of Aerenal and Valenar. The elves seek to preserve their greatest souls from being lost to Dolurrh. The Raven Queen could seek the downfall of Tairnadal champions in order to claim the spirits of the patron ancestors they are sustaining; she could also oppose the Undying Court and its agents. GUARDIAN OF FATE. In Eberron, fate is determined by the Draconic Prophecy. One option is to say that the Raven Queen knows the path the Prophecy is supposed to follow. When forces on Eberron—the Lords of Dust, the Chamber, the Undying Court—seek to change that path, the Raven Queen seeks to set things right, either using shadar-kai or pushing player characters onto the right path. All of these are valid options, and you can mix and match them: She rules a layer of Mabar, but she was once an elf queen and seeks to destroy the Undying Court. She’s a power in Dolurrh and served by the Children of Winter. But there’s a final option that’s MY personal favorite, as it brings a number of different ideas together: tragic Elven backstory, mortal who’s become a godlike being, guardian of the natural cycle of death, mysterious motives and ties to fate, specific tie to Eberron. And that’s ERANDIS VOL. Erandis Vol was the product of experiments conducted by dragons and elves, experiments designed to produce a godlike being with power over death. But she was killed before she could unlock the powers of her apex dragonmark. She was brought back as a lich, but as an undead being she can’t access the power of her dragonmark and achieve her destiny. Her phylactery is hidden even from her; she can’t truly die, even if she wants to. For thousands of years she has tried to achieve her destiny. She’s done terrible things in pursuit of this goal. She raised ann army of undead champions and fanatics. Perhaps she’s gone mad. But at the heart, she’s trying to achieve her destiny: to become the Queen of Death. One option is to say that there IS no Raven Queen… yet. Erandis is trying to BECOME the Raven Queen. But if it was me? I’d push things one level further. I’d use the Dolurrh version of the Raven Queen: the enigmatic spirit who preserves the experiences of the dead in her Fortress of Memories, who has the ability to catch the spirits of the dead and restore them if they serve her. This Raven Queen can be a mysterious ally for the PCs. She despises undead and those who seek to cheat and manipulate fate. She can point the PCs in directions that bring them into conflict with the Emerald Claw. And yet, even if they fight the Emerald Claw, these battles might also push Erandis towards her goals. On the surface, it seems like the Raven Queen and Erandis are the bitterest enemies, opposed in every way. But in fact, Erandis IS the Raven Queen… or will be. The process of ascension isn’t a simply thing; it transcends our normal understanding of time and reality. The Raven Queen has dwelt in her Fortress of Memories for eons: but at the same time, she is Erandis, and she still has to ascend. So the ascended Erandis despised the actions of the lich and helps those who oppose her; and yet, she also has to ensure that the ascension takes place. Simple, right? And you can easily add the Raven Queen hating the Undying Court into that mix: not only do they defy the natural order of life and death, they also killed her family and HER, back when she was mortal. So: there’s my thoughts on the Raven Queen in Eberron. Any questions? As always, thanks to my Patreon supporters: I couldn’t keep doing this without you! How do you see Raven Queen cultists as behaving in Eberron? Have you met the Children of Winter? Seriously, though: it depends on how you interpret her. If you embrace the 4E direction, she’s about sustaining the natural cycle of life and death and enforcing fate, and as such being strongly opposed to the undead. You could easily play up these aspects of the Children of Winter. Currently they focus on how the tools of civilization interfere with the natural cycle, but they are presented as despising undead and you could choose to play this up. As suggested above, I’d see Raven cultists as being opposed to the Elven faiths and anyone seeking to shift the direction of the Draconic Prophecy. Beyond that—and with whichever version of the Queen that you use—as she is a powerful outsider as opposed to an abstract god, she can give concrete directives to cultist, whether that’s digging up a secret, killing someone who’s escaped their fate, or what have you. With the Raven Queen’s emphasis on death being the natural and fated end, how might you see her interactions with maruts? Would she pluck them from Daanvi to guard her fortress of memories or deploy them against those who would cheat death? Per the 3.5 ECS, maruts are normally found in Dolurrh. Personally I see Dolurrh as being very mechanical in nature (philosophically, not necessarily visually). The process of drawing souls in and processing them isn’t done by hand; normally you don’t get some sort of cosmic judge reviewing your actions, it’s just “Souls come in, rinse, repeat.” I see maruts as being part of that machine—in essence, the antibodies of Dolurrh. If you come in and try to drag a soul out, you’ll have to deal with maruts. And as I called out in City of Stormreach, any time you use resurrection to return someone who isn’t fated to return, there’s a chance you’ll draw the attention of a marut; which is why Jorasco will generally perform an augury before they’ll do a resurrection. With this in mind, I’d personally say that the Raven Queen DOESN’T employ maruts. I prefer to say that she is living IN the machine, grabbing memories before they’re lost forever, but she’s not actually OPERATING the machine. Largely this is because I prefer her to have to work through mortal agents—be they temporarily mortal shadar-kai, Children of Winter, or player characters—than to have an army of maruts at her disposal. If one were to utilize the Crucible from Phoenix (specifically the Dhakaani Phoenix strike force version) in Eberron as well, how might the Raven Queen tie in to the Crucible? If you’re adapting Phoenix to Eberron, you could certainly present the Raven Queen as being the force that created the Crucibles — saving spirits from the dissolution of Dolurrh so they can return as champions. 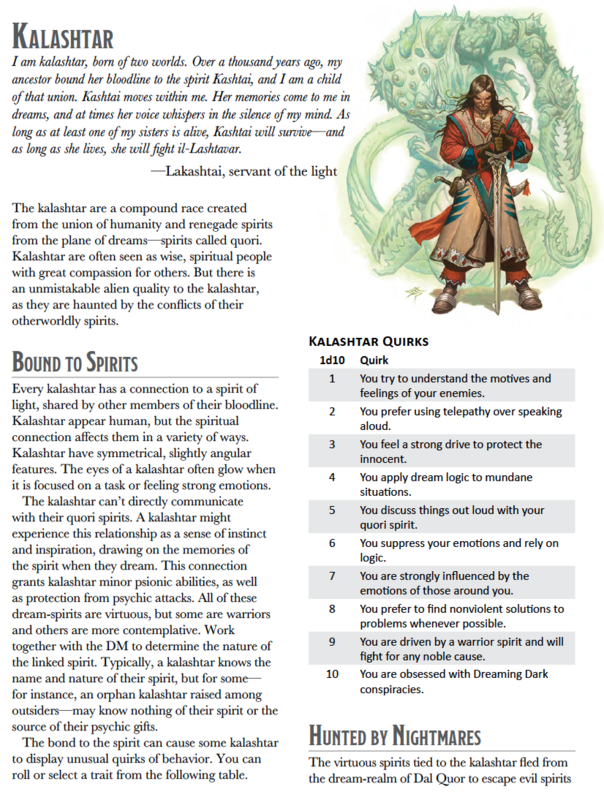 In a sense, this mirrors the 5E concept of the shadar-kai, with the added ideas that power grows with each reincarnation and that they only get seven lives. The main question is how the Phoenixes interact with the Raven Queen. Traditionally, the only being a Phoenix interacts with in the Crucible is their mentor, the spirit of a prior Phoenix of their school. If you chose, you could say that ever mentor is in fact an aspect of the Raven Queen herself. In Phoenix itself, you don’t have elves or gods. Personally, I’d make the Raven Queen one of the Fallen Folk — a Faeda spirit created to preserve the memories of the dead. Over the ages, she’s built her fortress of memories in the Deep Dusk, and could be a source of information or guidance for Phoenixes. Q&A 5/18/18: Undead, Sarlona, and More! May is a busy month. I’m swamped with writing and travel (I’m currently at Keycon 35 in Winnipeg), so I haven’t had time to write a proper article. However, I reached out to my Patreon supporters for questions for a quick Q&A, and here we are. Next week I may post some thoughts on Mordenkainen’s Tome of Foes and how I’d apply it to Eberron. Before I get to the questions, I want to tell you about something else that’s going on this week: The Gauntlet. Mox Boarding House in Bellevue, Washington is hosting a massive gaming tournament that’s raising money for charity. My company Twogether Studios is competing in the Gauntlet, raising money for Wellspring Family Services, and we need your help. Any donation is appreciated—a $5 donation would be fantastic—but if you’re in Portland, Oregon or the vicinity of Seattle, Washington and have the ability to be more generous, I’m going to offer a crazy incentive: a chance to play a one-shot session of Phoenix: Dawn Command or 5E D&D (in Eberron) with me. Here’s how this works: If you’re in Portland, a game requires a donation of $400. If you’re in the Seattle area, it’s going to be $500 (all the money goes directly to charity, but since it’s more work for me, I’m setting the bar higher…). This doesn’t have to be all from one person: I will run a game for up to six people, and their combined donations have to hit the target number. If you want to do this, you need to be part of a group that is going to hit the target number. After making your donation, email me (use the Contact Me button on this website) and let me know who your group is. I’ll work with your group to find a time to play. It may take a while—summer is an especially busy time for me—but I’ll make sure we get to play before the end of 2018. With that said, The Gauntlet takes place on May 20th, so there’s not a lot of time to donate. Again, the Twogether Studios donation link is here. Whether or not you have the ability to donate, thanks for reading! I was wondering about bone knights and their place in Karrnath. Are they still a component of Karrnathi culture and society after the war? Were they created specifically for the Last War or did Karrnath have a longer history with these more military necromancers? Is Kaius opposed to the Blood of Vol generally or the Emerald Claw specifically, and if the former is the Bone Knight thing something he wants gone from Karrnath? There’s a lot of topics to unravel. From a canon perspective, my take is laid out in City of Stormreach and more specifically, the Eye on Eberron article on Fort Bones in Dungeon 195. Here’s the key points. The core Karrnathi culture focuses on martial skill and discipline. It has nothing to do with necromancy or the use of undead. The Seekers of the Divinity Within have long had a presence in Karrnath. This religion has a close association with necromancy and the practical use of the undead. The Bone Knight is specifically a Seeker tradition: an expert in commanding undead forces in combat. EoED195 calls out that Seekers of the Divinity Within served alongside Karrn the Conqueror and Galifar I. However, they were a minority faith and the army as a whole didn’t rely on or embrace their traditions. When Karrnath faced plagues and famines during the Last War, the Queen of the Dead offered the assistance of the Blood of Vol. In exchange, the crown was obliged to recognized and elevate Seekers and to promote their faith. The chivalric orders of the Blood of Vol expanded. Undead were produced in greater numbers than ever before and became a critical part of Karrnath’s military strategy, resulting in a need for even more Bone Knights to command them. Over time, the famines were brought under control and the balance of the war shifted. The traditionalist warlords despised both the erosion of Karrnathi military tradition and the increased political power of the Seekers. Furthermore, the use of undead disturbed the other nations. With the war closing, Kaius strengthened his position with the traditionalist warlords and the other nations by disavowing the Blood of Vol and stopping the production of undead, sealing the majority of the undead legions in the vaults below Atur. Most of the Seeker orders were disbanded, though some Seekers (and undead troops) have remained in service, most notably in Fort Bones and Fort Zombie. Kaius has continued to use the Blood of Vol as a convenient scapegoat to direct the frustration of his people, and has gone so far as to blame the Seekers for the plagues and famines that originally weakened the nation. So, looking to the questions specifically: In my opinion, the Bone Knight is an old Seeker tradition, but one that was very uncommon before the Last War because the Seekers weren’t part of the Karrnathi military tradition; their numbers increased during the Last War in order to manage the undead forces. Kaius is publicly using the Blood of Vol as a useful scapegoat. He doesn’t NEED very many Bone Knights since he’s retired most of the undead; he’s dismissed most and allowed some to be persecuted as war criminals. However, regardless of this public image he’s not personally opposed to the Seekers. He’s maintained Fort Bones and Fort Zombie, and has a small cadre of Bone Knights and necromancers whose loyalty to the nation outweighs their anger at the treatment of their brethren. Are Bone Knights mostly Seekers or would one devoted to the Dark Six or the Sovereign Host be capable of getting far? 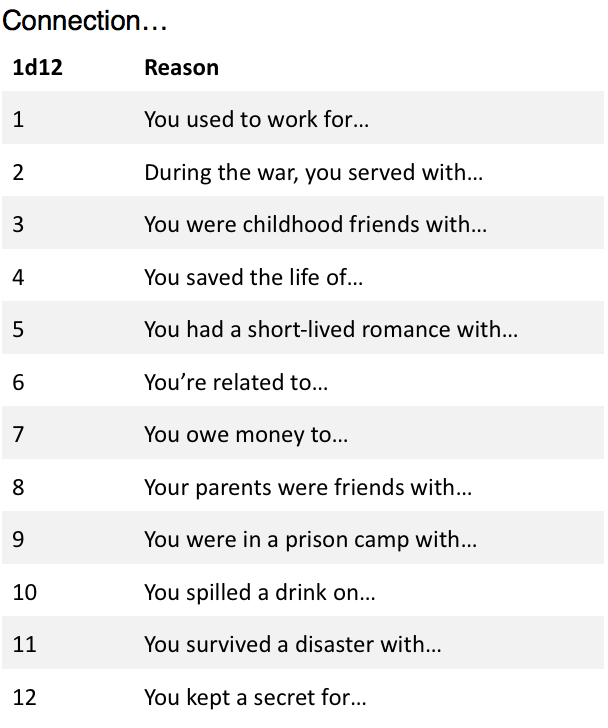 There’s a number of factors. They’re mostly Seekers because it’s an ancient Seeker tradition, tied to their long-standing use of practical necromancy. Theoretically someone who follows another faith could fill that role, but it requires deep devotion to the necromantic arts. If you revere the Sovereign Host—honoring Dol Arrah and Aureon—how do you embrace this dark path? The Shadow and the Keeper are the Sovereigns who would guide you on this road, and that’s a viable path, but not exactly one that Karrnath would celebrate and encourage. So sure; I think someone devoted to the Dark Six could become an accomplished Bone Knight, but that faith won’t make them any more acceptable to the general public than the Seekers… and might even result in greater distrust and suspicion. Is the Order of Rekkenmark’s opposition to necromancers something which would prevent a Bone Knight from excelling in their organization (as advisors to the King, movers and shakers politically)? It’s something that would make it VERY DIFFICULT for a Bone Knight to advance in their organization, absolutely. But nothing’s impossible. It simply means that the Bone Knight in question would have to be a soldier of unparalleled accomplishment and skill, someone whose dedication to Karrnath and the king is beyond reproach. It’s possible Alinda Dorn, commander of Fort Bones, is a member of the Order of Rekkenmark. She’s an advisor to and confidante of the king in any case; it’s simply a question of whether he embraces that publicly, or prefers to keep his favor for her hidden from the traditionalist warlords. Are the rituals for creating Mabaran undead and Irian deathless completely different, or do they look fundamentally alike except for the power source? ALL rituals for creating undead and deathless are completely different from one another. The techniques used to create deathless are dramatically different from rituals used to create Mabaran undead. But there’s no ONE TRUE RITUAL for creating undead. Looking above, a Bone Knight who draws power from faith in the Shadow and the Keeper should use different trappings from one following the path of the Divinity Within. The techniques of a wizard will as a rule be entirely different from those employed by a cleric. One’s a form of arcane science; the other an act of extreme devotion. In my opinion, the Seeker traditions walk a line between these two sides, drawing on both devotion and a form of science. We’ve established that the Odakyr Rites used to create the sentient Karrnathi undead were a breakthrough developed during the Last War—and as such, themselves unlike the techniques used elsewhere. Did the Dhakaani have any rites or rituals to create undead? Did the Dhakaani as a culture embrace the creation of undead or develop techniques for creating them? Definitely not. The Dhakaani were a culture driven by martial excellence. They were agnostic (thus lacking clerics) and had very limited interest in the arcane. So no, there were no institutionalized necromancers in the Empire. With that said, it was a vast civilization that lasted for thousands of years. During that time, could a small group have developed such techniques? 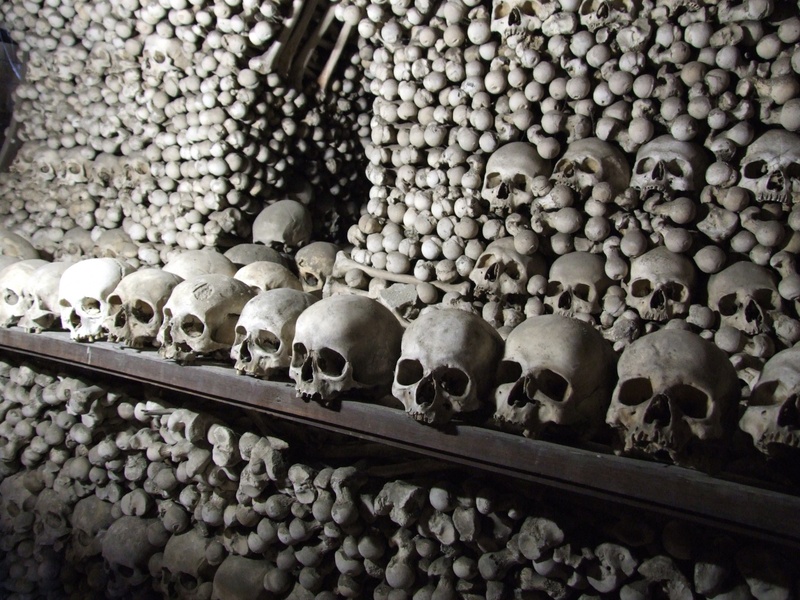 Could there be a Kech Mortis that has perfected these techniques during its centuries of exile, which now claims the Imperial throne with its army of undead heroes? Sure, why not! But just like Karrnath, the traditionalist like the Kech Sharaat would like be disgusting by this strange deviation from the true path. Did they have answers to the spawn-creating plagues like ghoul fever? The primary arcane path the Dhakaani embraced was the path of the Duur’kala, which is to say the bard. The Duur’kala inspire heroes in battle, but they also used their abilities to heal and to enhance diplomacy. The bardic spell list includes lesser restoration and greater restoration. So, there’s your answer. Now again, if you like the idea of a Kech vault that was overrun by a zombie plague the duur’kala couldn’t contain—so PCs stumbling into an ancient Dhakaani fortress filled with undead—I’m all for it. As a culture they had a tool for it, that doesn’t mean everyone always had access to that tool. Is it very difficult to travel across the Barren Sea? Are there ports in, say, the Shadow Marches that get trade directly from Sarlona? This is largely covered in Secrets of Sarlona. Riedra strictly limits contact with foreigners, and Dar Jin is the only port that accepts general commerce. Other than that, there are a few outposts in Ohr Kaluun and a harbor in Adar. So, it’s not so much that it’s difficult as it is that there’s very few places to go. Zarash’ak is the only major port in the Shadow Marches, though you could certainly introduce a smuggler’s outpost on the coast near Slug Keep. It’s certainly reasonable to think that Zarash’ak could have traffic with Riedran ships from Dar Jin. And does the majority of trade between, say, Karrnath and Breland go via boats through the Lhazaar Principalities, or is the faster/cheaper to use overland shipment? I addressed this specific question in a previous Q&A, so check that out. River barges, lightning rails, and airships are all options, though the Lhazaar route is also a possibility. Do you have any brief tips for involving the Venomous Demesne into a campaign? The Venomous Demesne is a Tiefling city-state on the far side of Droaam. They’re isolationists and largely unknown in the Five Nations. I discuss hooks for characters from the Venomous Demesne in this article. As for ways to use it in a campaign, here’s three ideas entirely off the top of my head. The Venom Lords are working on an Eldritch Machine. They’ve sent agents into the wider world acquiring the rare components required for this device. Are they working on behalf of the Daughters of Sora Kell, or does the device have a more sinister purpose? The vaults of the Venomous Demesne hold secrets that date back to the ancient nation of Ohr Kaluun. 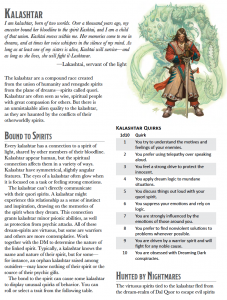 The player characters could need to acquire Kaluunite lore for an unrelated plot: tied to another Eldritch machine, to a path of the Prophecy, or perhaps to understanding some sort of demonic threat. To get what they need, they’ll have to go to the Venomous Demesne and earn the trust of its lords. A variation of the previous idea is needing something that can only be obtained or acquired in the Venomous Demesne: a particular magic item or artifact, learning a spell, etc. The lords of Ohr Kaluun made pacts with a wide variety of extraplanar and fiendish forces. If you want to do something with some sort of archfiend (such as demon lords from Mordenkainen’s Tome of Foes), one of the lines of the Demesne could work as its agents (or be opposed to it, but still know its secrets). Personally I’d use such a being as a powerful force in Khyber—below the level of an Overlord, but nonetheless a powerful threat that has recently broken loose from binding and is just starting to rebuild its influence in Eberron. Is there any possibility of getting a (rough) timeline of when the events of human/Sarlonan history occurred? Were there any trade relations between Dhakaan and Khorvaire at some point, or was Lhazaar the first human to see the shores of Khorvaire? The ancient nations of Sarlona are left intentionally vague so that they can fill the role you want them to fill. I see no reason that Lhazaar should be the first human to have set foot on Khorvaire; in all likelihood, she set out for Khorvaire because she’d heard stories of the land from previous explorers. The idea of canon is that Lhazaar’s expedition marked the first sustained and successful contact between the two. If you want to have players stumble across the ruins of an Uorallan outpost in the Shadow Marches — evidence of a settlement completely lost to history — do it. But I don’t think we’ll be defining those pre-Lhazaar civilizations in significantly more detail in a canon source. (The founder of the Kalashtar) Taratai is female in Races of Eberron, and male in Secrets of Sarlona. Which is it? So: both SoS and RoE agree that the kalaraq quori Taratai identified as female. However, per SoS she bonded with the human monk Hazgaal, who was male. This means that the spiritual lineage of Taratai were male kalashtar, though they were bound to a female spirit. Quite a few kalashtar lines have this sort of disconnect, which results in a great deal of gender fluidity within kalashtar culture. Do the Kalashtar believe in reincarnation, like the Riedrans do? Sort of, but they aren’t as concerned with it as the Riedrans are. First of all, as a kalashtar you are already part of something immortal. You are bound to the quori spirit, and your memories and experiences remain with the spirit even after your physical body dies; so the kalashtar don’t see death as an absolute end. Beyond that, SoS notes that the Path of Light maintains that “Dolurrh is a place where the ego dies, but the spirit is immortal, and it returns to the Material Plane again and again.” LIFE is eternal. The soul is part of the celestial machine of the universe. But it’s not about YOU, and they don’t believe that the form your spirit takes in its next incarnation is somehow tied to your actions in your previous life, as the Path of Inspiration states. It’s not a reward or a punishment; it’s just the nature of the universe. Your legacy remains with your lineage, and the soul that was yours continues on its journey. Why didn’t the Inspired seize Syrkarn as well as the other ancient kingdoms, instead satisfying themselves with a shallow “protectorate” title and some behind-the-curtain schemes? The Inspired have no interest in conquering Syrkarn. The territory is too large, the population too low, and they are still concerned about the lingering threat of the rakshasa rajah buried beneath the realm. The Inspired don’t feel a need to control every single individual; they are looking to control massive populations. There’s not enough people in Syrkarn to be worth the effort, doubly so when combined with the vast stretches of relatively barren land… not to mention the threat of the Overlord. More generally, what makes Syrkarn interesting, according to you, as a playground? First of all, it’s a part of Sarlona in which people can move freely. Second, I’d look to page 86 of Secrets of Sarlona. Scheming yuan-ti! An Overlord stirring! Karrak cults! The Heirs of Ohr Kaluun and the Horned Shadow! Relics from pre-Sundering Sarlona! Tribal conflicts (perhaps stirred up by the yuan-ti or the Overlord)! Possibly even surprising ties to the giants of Xen’drik, lingering through the eneko. From a game design point of view, why define Sarlona as being a blind spot in the Draconic Prophecy? It’s summed up on page nine of Secrets of Sarlona: “The dragons of the Chamber shun Sarlona, but they want to know what is transpiring beyond its shores. 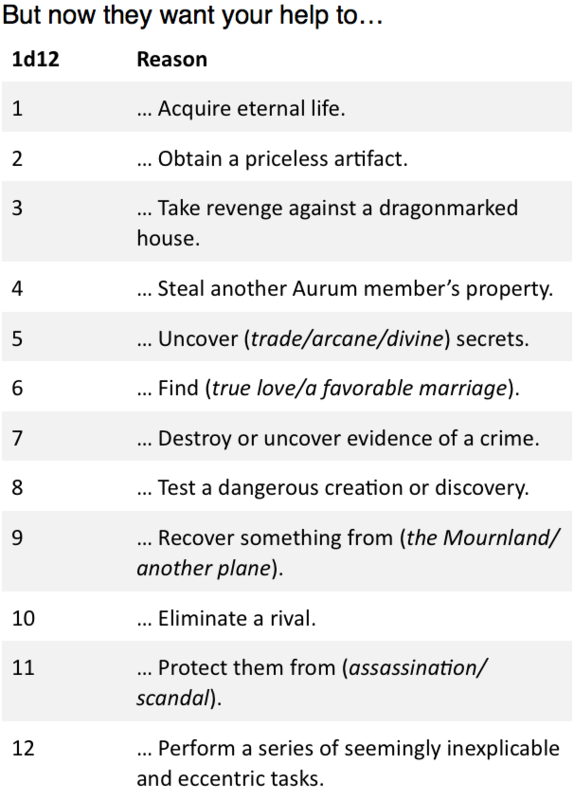 PCs who have ties to the Chamber, the Undying Court, or even the Lords of Dust could be sent to explore mysteries related to the draconic Prophecy.” By making it a region where dragons fear to tred, we add a reason why player characters should go there; it provides a range of potential story hooks you don’t have in other lands. Adar is wider than Aundair or Thrane (while understandably less populated). Now that the kalashtar can see the Inspired openly moving unto Khorvaire, how comes Adar didn’t make itself known too, nor officially voice some warning? First of all, per SOS it’s population density is around one person for every two square miles of land—lower than Alaska or Tibet. Its people have been described as “insular to the point of xenophobia.” Direct travel between Adar and Khorvaire is extremely difficult, meaning that you have no regular stream of commerce or communication, nor any particular interest in such commerce. We’ve established that the Adaran kalashtar believe that the battle against il-Lashtavar will be won by their persistence and devotion: they don’t NEED to get the world on their side, they just need to hold their ground and continue what they are doing. Many kalashtar in Khorvaire hold to the same general belief: we will triumph through perseverance. What’s important is protecting our community and continuing our devotions. Some younger kalashtar have embraced more active intervention, but even they largely believe that this is their war to fight, and that the humans wouldn’t listen to them or believe them. And they’re likely right. Riedra is a valuable trade partner, and it has come to the assistance of many nations during the Last War. There is a concrete benefit to working with Riedra. By contrast, Adar has virtually no recognition and nothing to offer. Even if I believe your story about the leaders of Riedra being aliens, the leaders of the Aereni are DEAD and we deal with them. And you may SAY that they want to conquer the world, but I’m not seeing it happening, and trust me, crazy monk, if they start any trouble, we can handle it. So: self-interest and arrogance are likely to outweigh the stories of the few kalashtar who do speak out against Riedra. While religions are not required to comment on the truth or falsity of each other’s doctrines, are there any Adaran scholars aware of the Valenar and their apparent reality of the potential continuity of identity their (in purely mechanical terms) higher average levels indicate? Possibly. There’s not a lot of overlap between them, geographically or culturally. But I don’t think there’s much to debate. Spirits exist; devotion creates positive energy that can sustain a spirit, as proven by the concrete example of the Undying Court; devoted Valenar display a level of skill that seems to support guidance from ancestral spirits. I could see a follower of the Blood of Vol saying “But how do you know that the spirit isn’t just a manifestation of YOU? The power comes from within you; you’re just creating this myth of your ancestor to help you interpret it.” I could see someone else saying “You’re getting guidance from a spirit, but are you sure it’s not some kind of demon or something masquerading as your ancestor?” Essentially, i don’t think there are many people saying that the Tairnadal religion has no grounding in reality; but I could imagine people arguing that some of the DETAILS might not be what the Valenar believe them to be. How much of the ancient history of the Giant Empire is known in Khorvaire, and since when? On the one hand, it makes plenty of sense, both in-world and for game purpose, that it’s still shrouded in mystery, that only a few scholars and daring explorers start to poke at. But on the other hands, there are elves assimilated in Khorvaire since centuries, and their whole culture revolves about perpetuating tradition: why would they hide their stories from the other races? There’s quite a few factors here. The elves know THEIR history. That doesn’t mean they know the history of the giants. Consider the tale of Cardaen. “He was born in a high tower, and Cul’sir made sure his feet never touched the ground.” That’s quite different from “He was born in the city of Aulantaara in the year 14,004 RTC, where he served as an arcane adjunct to the Cul’sir College of Evocation, eventually rising to the Fourth Circle.” The Elves have preserved STORIES about the giants; that doesn’t mean they ever knew the absolute FACTS. The civilizations of the giants fell forty thousand years ago on another continent. How much does the typical westerner know about Sumerian history? If someone threw a musical version of the myth of Gilgamesh onto Broadway, do you think it would dethrone Hamilton? I’m sure SCHOLARS know as much as is known about the history of the giants, and that reflects the information you could get with a History check. But I think most humans just don’t care about the history of the giants; it’s an obscure ancient civilization that has virtually no relevance to their modern lives. So, COULD a modern playwright produce a play about the story of Vadallia and Cardaen? Absolutely. I’m sure that there’s multiple versions of just such a play created over the millennia by phiarlans. But is such a play going to appeal to a modern human audience, or would they rather see a tale of Lhazaar, or Karrn the Conqueror, or Aundair’s forbidden love, or the sacrifice of Tira Miron? It’s possible that it would succeed—that it would be exotic and unusual and people would latch onto it. But even so, what people would then know about the giants is the same as a human who knows about early American history because they watched Hamilton; they know Cardaen was a slave who worked magic, but that doesn’t mean they know much about the actual structure of the Cul’sir Dominion, beyond the name of its evil titan king. Personally I think it’s the same general model as what the typical Westerner knows about Sumer, or ancient Egypt: the names of a few of their rulers, sure. A few stories that have been featured in popular culture or enshrined by scholars. But if you stopped someone on the street, do you think they could tell you about the structure of the Egyptian military under the Pharaoh Snefru? How many pharoahs could they name? Could they tell you how many dynasties their were? And that’s a human culture that existed just five thousand years ago. So: I don’t think the history of the giants is an ABSOLUTE mystery. I think the common person knows that there were multiple giant cultures; that they enslaved the elves; that there was an elvish uprising and the giants were destroyed by dragons. They might know the name Cul’sir specifically because they’ve encountered it in Elvish tales, the way many Westerners know Cleopatra because of her role in popular culture but have never heard of Menes… or they might just know him as “that evil titan king.” But I doubt the common person knows much more than that. If you have questions on these or other topics, ask below! Halflings have a variety of compelling roles in Eberron. At the same time, they are shrouded in mystery. Where did halflings come from? How do the subraces of Fifth Edition map to their roles in Eberron? Here’s my thoughts on the matter. 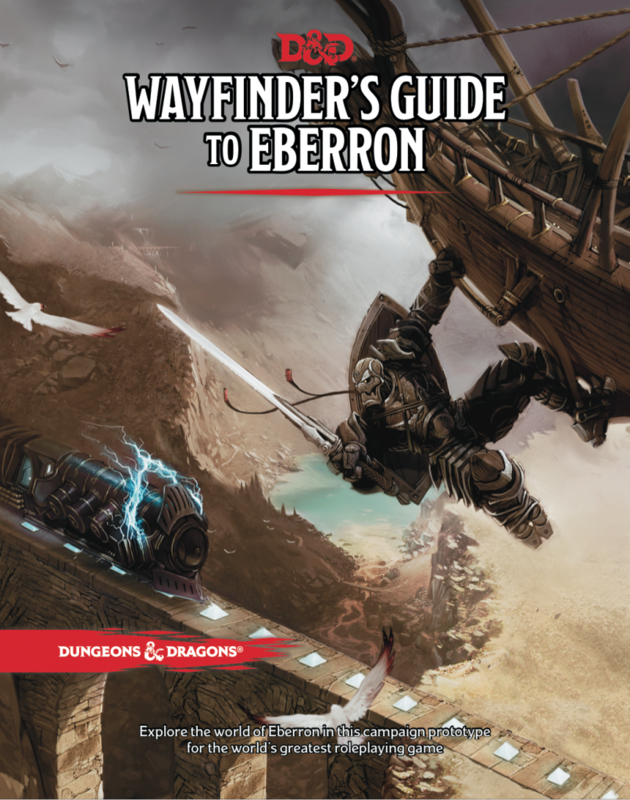 As always, these are my personal thoughts, and may contradict canon sources; notably, my thoughts on subraces are certainly at odds with the Player’s Guide to Eberron. In dealing with any nonhuman race, one of the first questions to ask is how are they different from humans? How is a halfling rogue fundamentally different from a human rogue? What does it mean to be a halfling? At the end of the day, halflings are more like humans than most races. They don’t have darkvision. They don’t have inherent mystical abilities like the forest gnomes. They live slightly longer than humans—5E has them live to around 150 years—but that’s not such a dramatic difference that it’s going to shape a culture as it does for the elves. So on a basic, fundamental level, what does it mean to be a halfling and how might this affect you? The first critical element is size. Halflings are small. For a Talenta halfling in the Plains, this doesn’t have much impact; you’re the primary humanoid race of your region and what civilization exists is designed to accommodate you. But a halfling in the Five Nations is a small creature in a medium world. Even Ghallanda designs its inns to accommodate medium creatures, though they at least have furniture and a few rooms designed specifically for small creatures. But as a rule, everything around you is annoyingly oversized. While humans are rationally used to dealing with halflings and gnomes, on a subconscious level many are still likely to treat you as children or to dismiss you as a physical threat. How do you react to all these things? Is it a constant source of irritation? Is it something you embrace and use, taking advantage of the human tendency to underestimate you? Next up is speed. Due to their small size, halflings are literally slower than humans (25 ft walking speed). But they are quick, something reflected both by their high Dexterity and the Halfling Nimbleness ability that allows them to pass through the squares of larger creatures. Combine this with the Naturally Stealthy trait of the Lightfoot halfling—which as I note below, is my default halfling—and you have a creature with a natural ability to outmanuever and outwit their enemies. Halflings live in a world of clumsy giants. When it comes to battle, rather than matching strength to strength, halflings are naturally going to lean towards mobility and finesse. Looking to the Talenta Plains, this ties to the fact that they don’t forge heavy armor. Their warriors aren’t plate-armored fighters; they’re rogues, barbarians, and rangers. Skill and speed are important; even the barbarian is going to make use of their fast movement to outmaneuver their foes. Beyond this you have bravery and luck. How is it that every halfling is lucky? Who can say. Maybe it’s Eberron’s blessing; maybe it’s an aspect of the Prophecy. But it’s there; halflings are luckier than other creatures, and it’s hardly surprising that luck would breed bravery. Despite their small size, halflings tend to be bold and more willing to take chances than creatures of other races. In contrast to the staid hobbits of Tolkein, I generally see halflings as being innately curious and inclined to take chances. But again, this ties to the quick wit mentioned above. Just because a halfling is brave doesn’t mean that they’re stupid. They aren’t oblivious to risk; it’s just that on a fundamental level, they are generally more willing to take risks than members of other species. What sort of halflings do you find in the Talenta Plains? My answer is “all of them.” Unless a subrace is concretely distinct from the core race—like drow or duergar—I prefer to use subraces as a reflection of individual aptitude or unique qualities as opposed to linking biology and culture. I’d rather look at the story of a particular character and if it feels like that character should be Lightfoot, then make them Lightfoot regardless of where they are from. So looking at this, what does subrace mean? Lightfoot halflings combine a natural talent for stealth with remarkable charisma. To me, this is the default for Eberron’s halflings. Naturally Stealthy is a boon for a Talenta hunter or a Boromar enforcer, while Charisma serves Ghallanda barkeep and Boromar grifter alike. Stout halflings sacrifice charm and stealth for resilience. I’m happy to simply see this as a possible expression of being a halfling; hunters tend to be more stealthy, while other members of the community are more durable. I see Ghostwise halflings as rare anomalies, a trait that may be as much mystical as biological. The halflings believe that spirits shape the world. In the Plains, a Ghostwise halfling is seen as touched by the spirits, and is likely to become a druid or shaman. In the Five Nations, a Ghostwise halfling would be seen as a curiosity or even a freak. So you’re making a halfling character. Where are you from? What’s your role in the story? What does being a halfling mean for you? Here’s a few ideas. You served as a mercenary scout in the Last War. You’ve stayed with your comrades in arms since then, hoping to find fortune and adventure. Some force—Emerald Claw? Aurum? Lords of Dust?—wiped out your tribe. You have ventured to the Distant Lands to learn more about your foe and to determine how you can take your revenge. The Treaty of Thronehold declared the Talenta Plains a sovereign nation, but this concept is still strange to the people of the Plains. Your tribe has sent you to the Distant Lands to learn more about them and to find allies that can help your tribe and the Plains overall if there is trouble in the days ahead. The spirits have marked you for a purpose. You have visions that guide you. You don’t yet know what they mean, but you know that you have a destiny you must fulfill, and you won’t turn your back on adventure. You’re simply curious. You’ve always wondered what lies beyond the Plains, and you’re on a journey of discovery. You’re thrilled with ANY adventure… and you find adventure in things that others see as quite mundane. As a Talenta halfling in the Five Nations, you’re a stranger in a strange land. Cities, airships, lightning rails—these are wondrous things, and it’s amazing what the people of these places take for granted. You are also unaccustomed to the myriad laws and customs of these places; your culture is simpler and more open. Outlander and Hermit are both logical backgrounds, reflecting your relative isolation from civilization. Barbarians, rangers, and rogues are all possible paths for Talenta hunters and warriors. Bards exist, entertaining and carrying news between tribes; I see the flamboyant College of Blades as a good path for the Plains. Spiritual leaders tend to be druids or nature clerics; their faith is a blend of ancestor worship and respect for primal spirits, with a layer of the Sovereign Host (notably, Balinor is thought to have been a great Talenta hunter). If you have XGtE, the Circle of the Guardian is a good choice for the druids of the Plains. Otherwise, both the Circle of Land and Moon are perfectly appropriate, with the Land druid caring for the Plains themselves and the Moon druid bonding with its creatures (and reveling in dinosaur shapes!). If you have a dinosaur companion, bear in mind that you believe your spirit is connected to theirs; they aren’t simply a mount, they are the closest thing you have to family in these foreign lands. House Jorasco and House Ghallanda are major institutions in the Five Nations. Ghallanda has maintained stronger ties to the Plains than Jorasco, but for the house members who live in the Five Nations, the Plains are more a part of your peoples’ colorful past than something you particularly embrace yourself. An immediate question to consider is your role in your house. Are you a workin’ stiff—in which case you might that the Guild Artisan or Entertainer background? Or are you a child of a matriarch, or otherwise connected to the heart of the house… making you for all intents and purposes a Noble? Here’s a few random ideas. Incidentally, all of these are characters I’ve seen or used in my own adventures and campaigns. The Boromar Clan has dominated the criminal underworld of Sharn for centuries. For the most part, Boromar focuses on non-violent crime… theft, smuggling, gambling… but the halflings are willing to get their hands dirty when they have to. And recently, they’ve had to. Refugees from Cyre and the monstrous forces of Daask are shaking up the established order in Sharn, and your family is going to have to fight to hold onto its kingdom. Where do you stand in all of this? The Boromar Clan is an easy story for any halfling with the Criminal or Charlatan background. The question is if you’re still connected with the Clan, or whether you’ve left that life behind. Either way, do you still have rivals or allies? A close connection with the Clan can be a benefit in Sharn, but a strong Boromar connection can be a curse as well; you may be called upon to do missions for your family, or you may be targeted by Daask or other enemies. 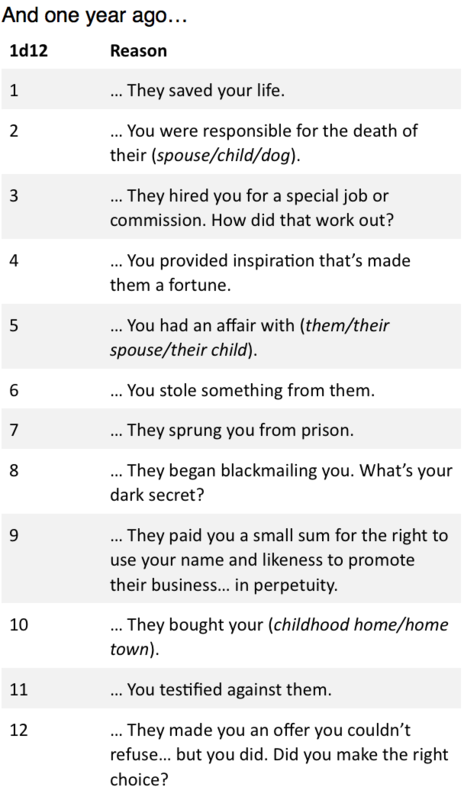 While it’s easy enough to have a single character with a Boromar connection—the equivalent of the classic thief with a tie to a guild—another option for a noir campaign is to have an entire party tied to the Boromar Clan. While halflings are the foundation of the organization, they hire people of any race and background. With that said, it could be interesting to have an all-halfling crew trying to hold a chunk of territory against Daask: a whisper bard as the mastermind, an assassin rogue and a barbarian (or ranger) as the muscle, maybe a dino-wildshaping druid as your eccentric mystical support. If Sharn doesn’t suit you, this same crew could be sent to Stormreach or even Q’barra to spearhead a new operation! Not every halfling is an innkeeper or a criminal. Halflings are spread across the Five Nations, and they can follow any path a human might. Your halfling could have studied magic at Arcanix or felt Boldrei’s call to become a cleric. As with most races in Eberron, ultimately culture is more important than species; you can embrace one of the ideas I’ve suggested above, but don’t be limited by them! One question that’s come up in the past is where are halflings FROM? Humans come from Sarlona. Dwarves migrated from the Frostfell and had an empire below the surface. Elves started in Xen’drik. What’s the story of halflings? The short form is that no one knows. The Talenta halflings have primarily relied on oral traditions. Their culture has existed for thousands of years, but there are no concrete records of exactly how it began or what came before. Currently canon leaves this a mystery, and I doubt that’s going to change; as such, if you want the ancient history of the halflings to be a part of your story, it’s something you’ll have to develop. A simple answer is that halflings share a common ancestor with gnomes; perhaps gnomes evolved on a divergent path due to long-term exposure to Thelanian manifest zones, or perhaps gnomes are the descendants of halflings who immigrated TO Thelanis, returning as something entirely new. Or perhaps halflings are simply children of Eberron, created by the Progenitor herself according to a divine plan. In any case, it seems likely that the Talenta halflings have held their land and their traditions for thousands of years. The Player’s Guide to Eberron suggests that chokers are halflings warped by the Daelkyr, which would place the halflings into the Age of Monsters; as noted in previous posts, the Dhakaani had little interest in enslaving other races and would have simply driven the halflings to the edges of the empire. So you can certainly ADD more details—explore epic conflicts with Dhakaani and Dragonborn—but in general, they’ve simply been following the same path throughout history. Are there any strong arcane traditions amongst the Talentans? It depends how you define “arcane.” The Talenta halflings don’t have a strong inclination towards scientific inquiry, which is reflected by the fact that their culture hasn’t really changed over the course of thousands of years. So I think wizards and artificers are entirely unknown there. Bards definitely have a role in the Plains, but I’d be somewhat inclined to paint their magic as calling on the spirits for favors, or as tricks they’ve learned from the spirits. This is the same path I’d take for an Archfey warlock, which would be the type of warlock that seems most likely in the Plains… though I could see a Celestial warlock who’s found a couatl patron in Krezent. Sorcerers are as possible in the Plains as they are anywhere, but we’ve never talked about powerful lines of sorcerers in Talenta, and I’d consider them to be rare and remarkable; as with the warlock, I could see a divine soul being touched by the power of Krezent. Have Eberronian halflings ever had wars where they weren’t somehow squashed “because small”? Do you have any ideas for what sorts of tactics they would use? With the coming of the humans and the rise of the Five Nations, the halflings found their territory shrinking as human settlements encroached on the wide-open plains. At times, the halflings attempted to hold their position and drive the humans away, and a number of bloody battles punctuate the shared history of the two races. In the end, the two races found common ground and eventually discovered a way to peacefully coexist (the Last War not withstanding). With the coming of war, the halfling tribes began to cooperate in unprecedented ways to protect the Plains that all the tribes revered. Warriors of different tribes banded together, repelling invaders from Karrnath and Cyre by using their knowledge of the ways of the Plains to confuse and confound the invaders. Ultimately the issue of the the Plainsfolk isn’t their small stature; it’s their small NUMBERS and limited military resources. From a strategic perspective they’re guerrilla warriors who will use mobility and knowledge of the region to outmanuever their enemies. But when you set the Talentans against Karrnath, you are essentially talking about the Ewoks fighting the Empire; they don’t have the numbers, the resources, or the martial or arcane discipline that the Karrns have (not to mention undead). The fact that they HAVE won battles against Karrn forces is a testament to their innovation and their guerrilla tactics. One thing I’d say here: Talenta forces lack the power and discipline of, say, Dhakaani or Valenar—both cultures that are ENTIRELY FOCUSED on martial excellence. However, I would say that the general harsh environment would likely produce a higher than average number of Talentans that have a level of a player character class than you normally see in Eberron. So most Talentan forces will be made of up 1st level rogues, rangers, or barbarians as opposed to warriors or commoners. And you’ll have heroes who are higher level and potentially druids, clerics, or paladins (such as Holy Uldra). So one-on-one, the halflings are probably tougher than the average Brelish soldier – but when it comes to a war, they still lack the numbers and the military/arcane machinery of the Five Nations. Why have they never been seen as a threat to other nations? Is it their culture and lack of large scale unification, or generic fantasy underestimation by the big folk? Lack of large scale unification, lack of population, and essentially, lack of any compelling reason to go on the offensive. By their nature, the halflings have always been the stream that flows around obstacles instead of a force that tries to conquer them. I see no problem with presenting legends of a Lathon who DID unite tribes and wreak havoc in a previous age, and these would be stories Holy Uldra would be invoking now as she rallies warriors to her banner; it’s just not something that’s happened any time recently. Is there much conflict between urban halflings, Talenta halflings and Dragonmarked halflings? And for that matter, between criminal Boromar and other urban halflings? Criminal halflings and the nomads? In the world itself, these things aren’t so easily divided. Sharn: City of Towers notes that the Boromar Clan still has ties to the Talenta Plains and has a squad of barbarians—the Clawfoots—they use for brute force operations. So you can be sure that there’s Boromars who take pride in their heritage and Plainsfolk proud to work with them, Boromars who think halflings from the Plains are bumpkins, and Talentans who think the Boromars are city slickers who wouldn’t survive a day in the Plains. Likewise there are specific Jorasco and Ghallanda heirs who work closely with the Boromar Clan, and others who despise criminals and anyone who works with them. As for urban halflings, as I’ve said, many will put their national identity before their racial identity. Dragonmarked halflings won’t fault anyone for this; it’s not like they’re inviting unmarked halflings to join their house. Boromar halflings essentially ARE urban halflings, they’ve just formed a common bond. And Talentans might see urban halflings as creeps for abandoning their traditions, or they might not care – it depends on the individual. What does the Boromar clan of the Talenta plains think of their Sharn counterpart? I don’t think the Boromars of the Plains have a very clear concept of what Sharn IS, let alone the precise role of the Boromar Clan there. We know that there is some ongoing connection, because of the presence of the Clawfoot enforcers. My guess is that once a year, Saiden Boromar sends a delegation to the Plains with gifts and supplies for the old family; if there’s talented people who want to join the Clawfoots, they travel back with that delegation. In general I think they understand Sharn to be a tower of the big folk, and the Boromar Clan to be a group of clever hunters who use their wits to profit off the big folk. I’m sure there’s some who think that their city cousins have lost their way and who don’t want their gifts, and others who think it sounds like a grand adventure. This would likely mean that this tribe is one of the best-equipped tribes in the Plains, in terms of forged weapons, armor, potions, and gifts they might receive. Is the above statement about “not all halflings being either innkeeps or criminals” a stereotype that has traction in Eberron? Ghallanda and Jorasco are the PUBLIC face of halflings in the Five Nations; the Boromar Clan (and thus, the criminal stereotype) is specific to Sharn. So “Innkeeps and Healers” for sure, “Criminals” mainly in Breland. Unlike goblins, I don’t think halflings in the Five Nations are broadly forced into criminal paths. Are some dinosaurs feathered in Khorvaire and if so do the Talenta incorporate these feathers into their dress/ceremonies? We haven’t seen any in canon artwork, but it seems appropriate – especially given the couatl. And if they ARE feathered, I’d expect those feathers to be used in rituals, yes. Would a halfling from the Talenta Plains be as capable (from a fluff perspective) of connecting with dinosaurs from Q’Barra, Xen’drik or Argonnessen if raised there? The bond is a cultural thing, not genetic. If a Talenta halfling went to Q’barra, the same techniques they use to work with dinosaurs in the Plains should work on dinosaurs in Q’barra, and they could form a connection. But a halfling child raised by humans in Stormreach and then dropped in the middle of Xen’drik doesn’t have some sort of innate magical bond; it’s part of Talenta tradition. My player is planning to open a brothel and I ruled that Ghallanda has control over that, but do they or is that more a Phiarlan/Thuranni entertainment field? Per canon prostitution has been presented as “legal but shady”, and generally falls into the domain of the underworld, not something that is licensed and sanctioned by a Dragonmarked House. In Sharn, for example, prostitution is primarily the domain of the Tyrants. So I’d say it’s handled on a more local level as opposed to being part of a house guild. Are there paladin traditions among the Talenta halflings, devoted to Balinor or other sovereigns? Sure, I think you could find an Oath of the Ancients paladin tied to Balinor in the Plains. But bear in mind that the Talenta tradition maintains that Balinor was a great halfling hunter, so it’s essentially woven together WITH ancestor worship and general veneration of nature spirits. These questions are about the mask weavers, the Talenta druids. What visages do the masks of the mask weavers tend to reflect? Are there any specific paths for the mask weavers, from the newer editions point? Could a mask weaver also serve as lath? The masks are spirit masks. They aren’t made to represent a particular creature or totem; they are a vessel for the spirit of the wearer or their mount. As such, I think there is an extreme variety; it is about creating a mask that reflects the spirit of the wearer. Within a particular tribe you’d have a common general style, but the subject of the mask will vary and in many cases will be more abstract than concrete. A spiritual leader could certainly serve as lath; while she’s a cleric, I’ll point out that Uldra is a lath. As for paths, as suggested above, the Circle of the Guardian is a logical path, but Moon or Land can both work. Can you expand more on the classes and subclasses you think fit Talenta Halflings, and other halflings, like aren’t there Ghallandan assassins? Do you see a place for Talentan Monks, Warlocks (5e needs a “Primal Spirits” style warlock patron), Cavalier Fighters, etc? As for others, I don’t really have time to run down every possible subclass. I generally prefer rogue, ranger, and barbarian as Talenta warriors, but if you want a fighter the cavalier definitely makes sense; likewise, you can certainly have a paladin (Ancients seems sound) with a celestial dino-mount. Ultimately, anything is possible; some paths just make more sense than others. If you have questions or thoughts, share them below! Thanks as always to my Patreon supporters, who make these articles possible.